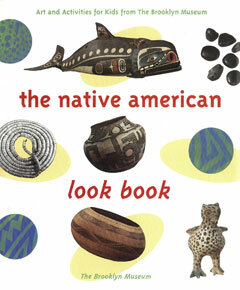 A children’s book of art and activities based on objects from three Native American cultures. With the new paperback edition of The Native American Look Book, children everywhere can explore Native American art and culture. The color and black-and-white photographs on every page bring rare and beautiful examples of traditional arts into homes and classrooms, encouraging appreciation of both traditional and contemporary Native American art. Activities and interactive texts include how-to projects like basket weaving and making coil pots. The book also offers and engaging introduction to the world of a craftsperson and provides a list of thirty-eight Native American museums and cultural sites across the country for further exploration.